As we are fast approaching the end of the tax year for 2011/12 we have outlined below a summary of key areas that you need to consider before 5 April 2012. If you are self employed or a limited company you will get 100% tax relief on capital expenditure up to £100,000. This will be reduced in 2012/13 to £25,000 so if you are planning a big spend do it now. Care should be taken with accounting periods that span this date as the allowances may be prorated. Pension contributions must be paid by 5 April 2012 to apply against 2011/12 income. Contributions can be up to 100% of earnings up to a maximum of £50,000 per year. 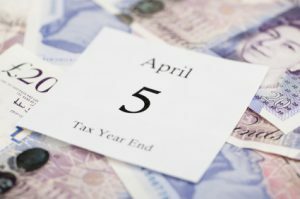 If you have not contributed the full £50,000 in any of the previous three years you may carry forward any unused annual allowance, so you may be able to pay increased amounts prior to April 2012. As the lifetime allowance is being reduced from £1.8 million to £1.5 million from 6 April 2012 you should also review your retirement plans. You are entitled to capital gains tax allowance of £10,600 during 2011/12. If you have not used this years allowance and you have something such as an investment in shares which has made a gain that you were thinking of selling you should consider it before the year end. If you have already used this year’s exemption consider deferring the transaction until after 5 April 2012. Married couples should consider transferring assets into joint ownership with their partner or spouse to avail of both annual exemptions. It is important to review dividends, salary and bonuses before the year end to ensure that these have been recorded correctly and you are making the most of your tax allowances. Bonuses must be paid within 9 months of the company’s year end to ensure tax relief for the company in that period. An individual can invest up to £10,680 tax free in an ISA for 2011/12 and with top rate of 50% applying, the attraction of investing in an ISA is increased. The annual Inheritance tax gift exemption is £3,000 per individual. If you did not use the 2011/12 exemption, you can carry it forward to next year. In addition each individual can make any number of small gifts up to £250 per person. As with all taxation matters, we recommend that professional advice be sought. If you would like to discuss this please contact one of our offices or e-mail us at info@mbmcgrady.co.uk .